The teaser of director Chimbu Deven’s Tamil movie “Puli”, which was released as a birthday gift to Ilayathalapathy Vijay, has received a humongous response from the audience across the globe. 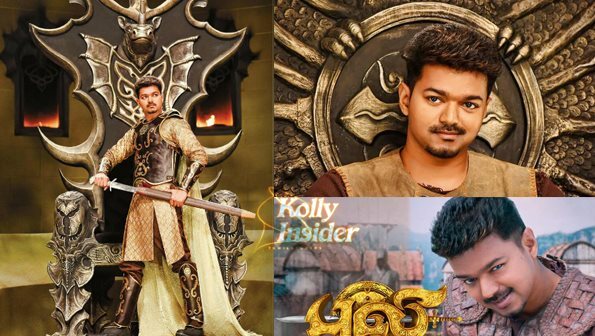 The teaser of Vijay’s next Puli, directed by Chimbu Deven, has not only caught the fancy of his die-hard fans, but also his contemporaries, who are heaping praise on the stunning visuals. The teaser hit the film’s website on the occasion of his birthday and has hence been a rage, online. Within a few hours of its release, the video was viewed by over 40,000 people on YouTube. It got over 15,000 thumbs up. But director Chimbu Deven is in vein as The makers of “Puli” had initially planned to release its first look teaser on Sunday midnight, 21 June. However, they were forced to release its official version on the YouTube channel of Sony Music India after it was reportedly leaked online on Saturday night. Now sources reveal that director Chimbu Deven is not satisfied with the movies CG(Computer Graphics) and has planed to rework on the CG to give the audience the complete feel. The movie is directed by Chimbudevan and produced by PT Selvakumar and Shibu Thameens, and includes Sudeep, Shruti Haasan, Hansika Motwani and Sridevi. Vijay fans are thrilled celebrations and countdown for Puli has already begun.